Nakd is one of the brands of Koninklijke Peijnenburg. The bars and snacks from Nakd are made of 100% natural ingredients, such as fruit and nuts. 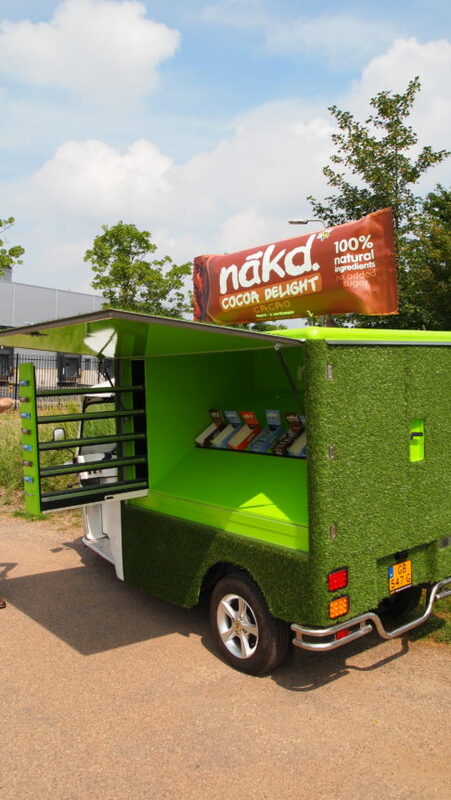 For the sampling of Nakd bars, Koninklijke Peijnenburg wanted a 100% electrical vehicle in which all types of Nakd bard could be displayed. In addition, there had to be enough space for storage of stock. The Streetfood e-Tuk appeared perfect for this job. Easy manoeuvrable, both indoors and outdoors perfectly usable and 100% green.